You know how some celebrities are like, "I don't read the tabloids, I don't Google myself, I just tune the criticism out," and it's super annoying? 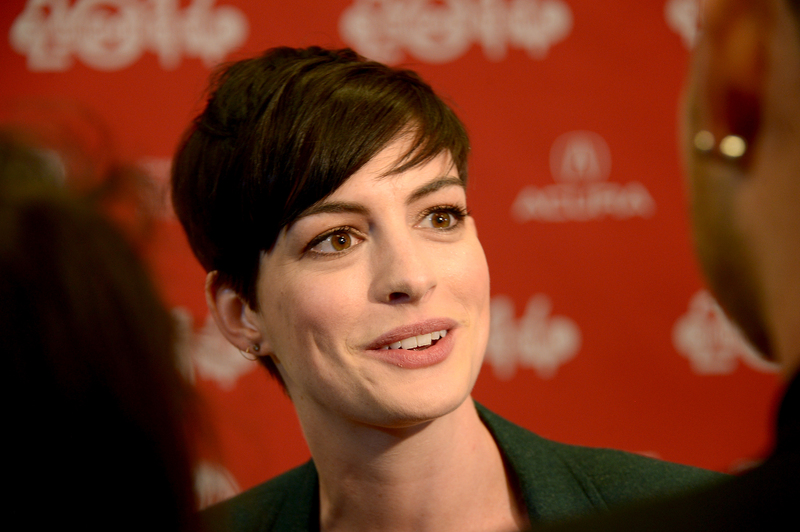 Well, now we know that Anne Hathaway isn't one of those people. She heard "Hathahaters" loud and clear after she exhausted them by living out loud during awards season last year, and may have not been in many films in 2013 because of it. During the Sundance Film Festival for the premiere of her new film, "Song One," Anne Hathaway admitted that "people needed a break" from her after she won the Best Supporting Actress award for the role of Fantine in Les Mis . In an interview with the Huffington Post, she was told that she wasn't seen much in 2013 (only appearing in Don Jon) after being a "part of our lives" in 2012 with The Dark Knight Rises and Les Mis. "My impression is that people needed a break from me," she says, with a laugh. Awww. Annie. Anne. This makes me kinda sad to hear, because I do like her as an actress, and I know that she's just a big theater nerd at heart who has so much theater joy and wants to bust out onto every stage and wear a showstopping gown and perform a big showstopping number and share ALL the warm theater feelings she has to give. But I did get a little annoyed with her, kind of like how Janis and Damian from Mean Girls got when Cady started turning into a Plastic. It's like, yeah, still love you, but please stop acting like this — Princess Mia's soul is in there somewhere. Hathaway still sings in Song One , but not like in Les Mis. "It's a very different film than that, but I don't play a singer or a musician — I play an anthropologist. So, I don't think it would have felt organic at all if all of a sudden [my character] Franny had this secretly honed talent. So, it was fun to get to sing and to find a place in my voice that it sounded like it was untrained and tentative and shy," she says. "Shy" may be the key word in rising from the ashes, and perhaps "Song One" will be the low-key ticket to Hathaway charming us all over again.